Great Lakes Lotus Grattan Raceway Drivers School October 6-7. The Lotus Club president has invited our club to participate in their drivers school event on October 6th and/or 7th. Additional information is located here, and you can go to this site for registration. CMMC Club member Jim C. will be out there in his 1974 Lotus Europa..
Midwest F Body Association at Road America October 13-14. 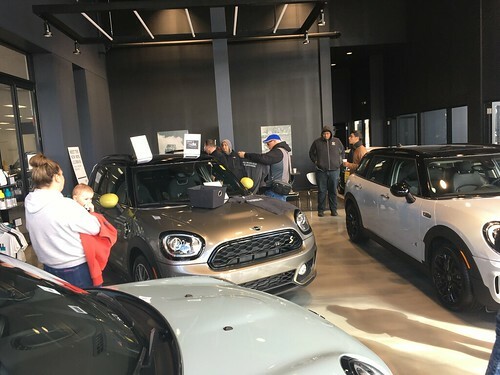 This tidbit came from a MINI owner (and tech inspector) posting in the Chicago forum of NorthAmerican Motoring. Check out all the details Here. Also if you are looking for something a little closer to home, there are regular local Auto-X events hosted by the Windy City Miata Club. I saw a post yesterday on the Windy City BMW message board that the Badger Bimmers RA school is already sold out and has a long waiting list. FYI. And for those that have never been there, Grattan Raceway is a blast. Jim you have a Lotus Europa? Jim, can Marco and I become your automotive sons?